"The gold imprinting is just so good and nice, not faded even after 75 years. 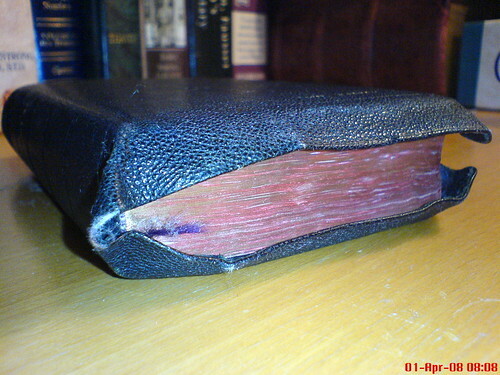 The full yapp edge is very supple still, even if it's worn in the edges and lost the black in certain parts. 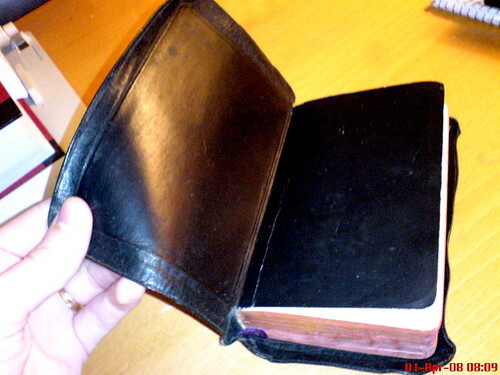 The covers are not so supple since they have a paper board between the leather lining and the cover. 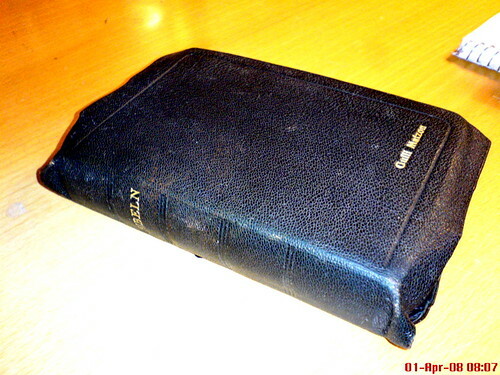 Still, it is bendable and I can say I would easily choose this Bible instead of most modern Bibles, even though this one is 75 years old!" Above: A traditional double-column setting. Below: A look at the inside cover. 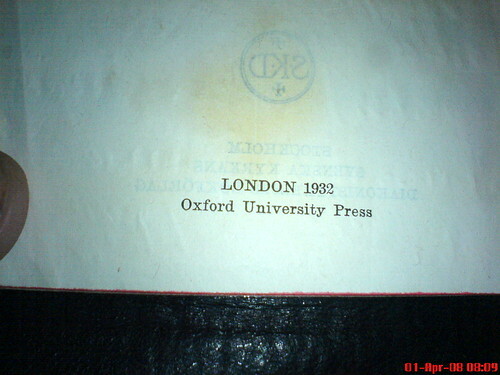 Above: Printed in London, 1932. 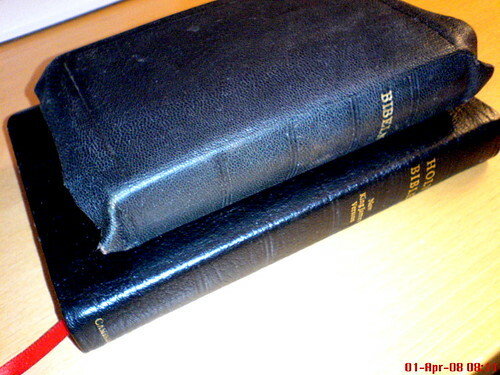 Below: The vintage edition compared to a modern Cambridge NKJV. 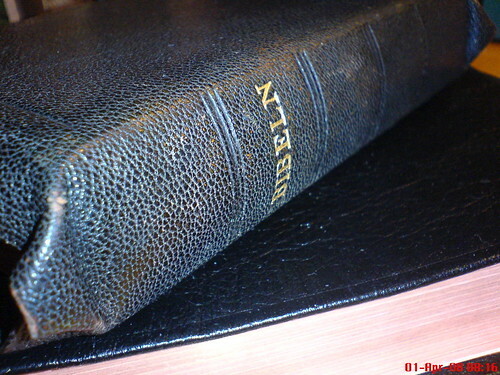 The nice thing about these photos is that they suggest how much use you can expect from a well-made Bible. 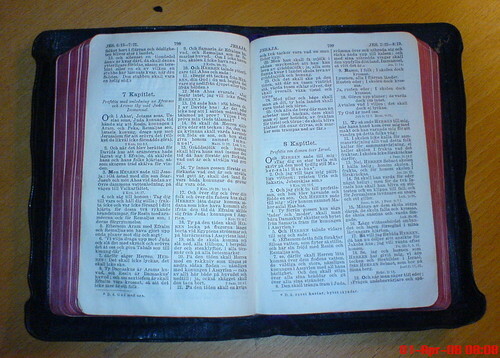 I don't know about you, but I'm more interested in a Bible that will be in one piece when I'm through with it than one that looks pretty out of the box. If you can have both in one package, so much the better. Above: A detail of the grain. 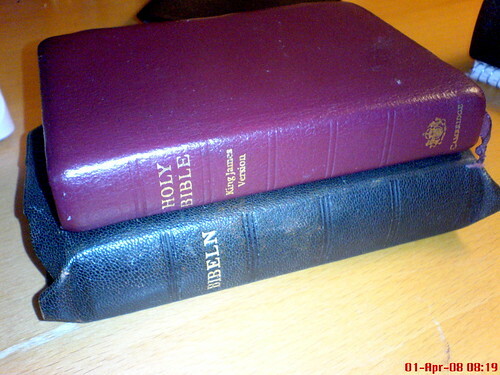 Below: Compared to a modern Cambridge KJV. Thanks, Christian, for sharing this find with the rest of us!